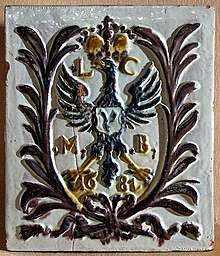 The Radziwiłł family (Polish pronunciation: [radʑiˈviw]; Lithuanian: Radvila; Belarusian: Радзівіл, Radzivił; German: Radziwill) was a powerful magnate family originating from the Grand Duchy of Lithuania and later the Crown of the Kingdom of Poland. The descendants of Kristinas Astikas, a Lithuanian and a close associate of the 14th century Lithuanian ruler Vytautas, were highly prominent for centuries, first in the Grand Duchy of Lithuania, later in the Polish–Lithuanian Commonwealth and the Kingdom of Prussia. The family has produced many individuals notable in Lithuanian, Belarusian, Polish, German (particularly Prussian) and general European history and culture. The Radziwiłł family received the title of Reichsfürst (prince, Polish: książę, Lithuanian: kunigaikštis, Belarusian: князь, kniaź), from the Holy Roman Empire. The Nesvizh Castle complex, maintained by the family in Belarus between the 16th century and 1939, is a UNESCO World Heritage site. The countries of Belarus, Finland, Lithuania, Poland, Russian Federation, and Ukraine jointly nominated its family archives to the UNESCO Memory of the World Register in 2008, and they were inscribed on the Register in 2009. The Radziwiłł family is a directly descended branch of the extinct Lithuanian noble Astikai family line. Its first notable member, Kristinas Astikas (born 1363), a close associate of the Lithuanian ruler Vytautas, became Castellan of Vilnius. The patronym Radvila arose following its use by his son Radvila Astikas and grandson Mikalojus Radvila. A legendary version of the patronym's etymology associates it with a child raised by wolves (rado vilko). The name has been primarily written in, and recognized by, the polonized version and spelling for several centuries. The family descends from Lithuanian bajorai-ducal courtiers who advanced considerably in the 15th century politics of the Grand Duchy of Lithuania. Along with possessions of land near Kernavė, the family's traced place of origin, the Radziwiłł family also inherited the Trąby coat of arms. Three of Mikalojus' sons, Mikołaj, Jan, and Jerzy, went on to become the progenitors of the three known Radziwiłł family lines. The Goniądz-Meteliai line became extinct by the next generation as Mikołaj's descendants consisted of one male heir, Mikołaj III, who entered the priesthood and became the Bishop of Samogitia, thus bearing no known offspring to extend the line. The Biržai-Dubingiai line was moderately more successful and produced some very notable state officials and politicians, but also became extinct after the death of Ludwika Karolina Radziwiłł in 1695. Possibly both the Olyka and older Kletsk lines became extinct, the former in 1656 and the latter in 1690. The direct descendant of the Nesvizh line, Dominik Hieronim's son, Aleksander Dominik, was born before the marriage of his parents and formed the so-called Galician branch, which became extinct in 1938. The younger Kletsk line descends from Michał Hieronim, continued through his son Ludwik Mikolaj. The descendants of his other son, Antoni Henryk, formed the beginning of the so-called Ordynant branch. Other than the Ordynant branch, from the younger Kletsk line also descends the lesser titled branches of Szydłowiec and Połoneczka, as well as Dziatłava, Berdychiv, and Żyrmunów. The younger Kletsk line has continued into the present day. Kristinas Astikas, ancestor of the Radziwiłł family, was among these who were granted and adopted the emblem known as Trąby after the Union of Horodło in 1413. This emblem later became the hereditary coat of arms of the Radziwiłłs. In 1518, Holy Roman Emperor Maximilian I created Mikalojus Radvila's son, Mikołaj, Reichsfürst ("Imperial Prince") of Goniądz and Meteliai after the Jagiellonian-Habsburg congress at Vienna. Mikołaj Radziwiłł also received an expanded, more solemn coat of arms: as princes of the Holy Roman Empire, the Radziwiłłs bore a black eagle, on whose breast is a shield with Trąby and other emblems. The family motto is "God advises us" (Polish: Bóg nam radzi, Belarusian: Бог нам раіць, Boh nam rajić). In 1547, Charles V, Holy Roman Emperor, created Mikołaj "the Black" and his brother, Jan, hereditary Reichsfürsten of Nesvizh and Olyka; their cousin Mikołaj "the Red" Radziwiłł was created Reichsfürst of Biržai and Dubingiai. The same year King Sigismund II Augustus of Poland married Barbara Radziwiłł and confirmed these titles in 1549. So high a title was rare among the szlachta (the Polish nobility): just five Polish families, including the Radziwiłłs, received the title of imperial prince from the Holy Roman emperor. The Radziwiłł family also divided on religious grounds. Following the Protestant and Polish Reformation, two branches converted to Calvinism. One branch, the Nesvizh–Kletsk-Olyka line, remained as Calvinists for two generations until the children of Mikołaj "the Black" converted to Catholicism before the end of the century. The Biržai-Dubingiai line remained in the Protestant faith until the extinction of their line one century later. Both Mikołaj "the Black" and Mikołaj "the Red" were zealous promoters and active participants of the Protestant religion within the GDL. Mikołaj "the Black" funded the printing of a second version, and first completed, Polish translation of a Protestant bible, titled the "Radziwiłł Bible" (also known as "Biblia Brzeska"), which was published in the town of Brest in 1564. His death in 1565 was seen as a severe loss to the Protestant cause in Lithuania. However, Mikołaj "the Red" continued his cousin's work by founding and endowing land to several churches and schools. Several prominent family members have been involved in domestic and foreign political arenas. They took an active part in the political life of the Grand Duchy of Lithuania and its importance is manifested by family relations with such famous nobility dynasties in Belarus, Ukraine, Poland, the Great Duchy of Lithuania, Samogitia, and Rus like Zaslawski, Rohatinski, Lukomski, and Olshanski-Dobrowicki. The Radziwiłł family joined the rest of the nobility as the elite of the state after the signing the Union of Krewo in 1385. The significance of the Radziwiłł family is proved by the marriage of Anna to Konrad III Rudy, duke of Masovia, who owned the largest Polish principality. In 1547 Barbara Radziwiłł was married to Sigismund II Augustus, thus becoming the Queen of Poland and setting also in motion a closer relationship to the Papal Curia. Later the Radziwiłłs established family relations not only with the most important families of the Polish, Belarusian and Lithuanian magnate families like Sanguszko, Sapieha or Chodkiewicz, but also with members of royal families like Wiśniowiecki, Sobieski, and Leszczyński. The political position of the Radziwiłłs enhanced in the 16th century. In 1515, Mikołaj, as a member of a delegation, headed by King Sigismund I the Old took part in the First Congress of Vienna in Pressburg and Vienna where Emperor Maximilian I met kings of Poland, Hungary and Bohemia. Additionally, Mikolaj "the Black" was the deputy to the Grand Prince when the latter was abroad. From that time on, the Radziwiłłs were also granted the privilege of keeping legal acts and other state documents in Nesvizh. In 1583 bishop Jerzy Radziwiłł was elevated to the cardinalate by Pope Gregory XIII, established a closer relationship with the influential noble banking families Altoviti and Strozzi. Later prince Aleksander Ludwik Radziwiłł married Lucrezia Maria Strozzi, great-granddaughter of Bindo Altoviti and Filippo Strozzi. During this time until the first half of the 17th century, the Radziwiłłs were the most influential and richest family among the magnate dynasties of the Grand Duchy of Lithuania. This status enabled them, along with very few other families, to have their own army. In 1528, the Radziwiłłs owned 18,240 houses thus being able to have cavalry of 760 horsemen. In 1567, 28,170 houses provided for an expanded 939 horsemen and 1586 infantrymen. In the 18th century, the army of Hieronim Florian, for instance, had 6,000 men, and was equal to the entire armed forces of the Grand Duchy of Lithuania. Members of the Radziwiłł family held important state posts in the Rzeczpospolita and in the Grand Duchy of Lithuania. 8 chancellors, 7 hetmans, 15 castellans, 19 marszałeks, and 19 voivodes, almost exclusively representing the Grand Duchy of Lithuania, rather than the Crown, belonged to the dynasty. Radziwiłłs were members of the parliament and of the Tribunal of the Grand Duchy of Lithuania. They also held high military posts and took part in the Livonian War, Russo-Polish War of 1647–1667, Northern Wars, participated in the Napoleonic campaign, and the Kościuszko Uprising. Michał Gedeon was the commander-in-chief of the November Uprising, and his cousin Stanislaw Radziwiłł was the aide-de-camp to the Commander-in-chief Józef Piłsudski. The Radziwiłłs also gained international importance manifested in family relations with German princely dynasties, first established by Albrecht Radziwiłł from Olyka who married Anna, princess of Courland. Such conjugal unions continued in 17th and 18th centuries. 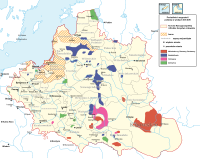 After the three partitions of the Polish–Lithuanian Commonwealth in the late 18th century, towns and estates owned by the Radziwiłłs became parts of territories belonged to Russia, Prussia and Austria. However, all three states recognized the title of princes of the Radziwiłł dynasty and the right of its members for the family properties. Many members of the Radziwiłł family held high civil and military posts. The significance of the Radziwiłł family is proved by the fact that Stanislaw Albrecht was a chargé d'affaires in the League of Nations. They had family ties with the Castellan dukes, and the Aldringen and Wittgenstein princes and most important with Frederick William II, King of Prussia. Duke Antoni Radziwiłł was the husband of Princess Louise of Prussia, the second daughter of Prince Augustus Ferdinand of Prussia and hence a niece of the late Prussian king Frederick the Great. The couple were prominent patrons of the arts in Berlin during the 19th century. Their palace the Palais Radziwiłł played hosts to regular visits from well-known personalities, artists and academics playing a major role in promoting Prussian-Polish relationships in Berlin. These included relatives as the Altoviti de'Medici, Polish politicians in the Prussian Parliament or such famous people as Johann Wolfgang von Goethe, Frédéric Chopin, Wilhelm and Alexander von Humboldt, Felix Mendelssohn-Bartholdy and Karl Friedrich Schinkel. Indeed, the “Salons” held by the Radziwiłłs were so popular that they became a symbol of “Polish Berlin”. In 1959 prince Stanisław Albrecht Radziwiłł married Caroline Lee Radziwill, sister of the late First Lady, Jacqueline Lee Kennedy Onassis, and sister-in-law of President John F. Kennedy. Antoni Radziwiłł was a music and art aficionado and he transformed his properties in Berlin to serve as artistic salons, where aristocrats mingled among artists, painters and composers. Radziwiłł’s Berlin properties hosted frequent amateur theatre play productions. Another property in Antonin owned by Duke Antoni Radziwiłł was built between 1822-24 by the German architect Karl Friedrich Schinkel and initially served as a hunting residence. Later in his life, Duke Antoni Radziwiłł moved permanently to Antonin with his wife, Friederike Dorothea Luise, and two daughters Wanda and Eliza. Antoni Radziwiłł was a well-connected composer among European musical circles and with time transformed the Antonin property into a popular musical salon among greatest talents of the area such as Niccolò Paganini, Johann Wolfgang von Goethe, Frédéric Chopin and Ludwig van Beethoven. Chopin gave music lessons to Antoni Radziwiłł’s daughter Wanda during his stays at the property. During his stays with Radziłłiw family, Chopin also had composed the Polonaise op.3 and Piano Trio Op. 8 and dedicated the latter to Radziwiłł. Antoni Radziwiłł also supported some of the artists financially, among them Fryderyk Chopin. Chopin’s visits to Antonin property were documented by Henryk Siemiradzki in a photogravure titled "Chopin u księcia Radziwiłła" (eng: Chopin’s visit to Prince Radziwill ). The family acquired and maintained great wealth and influence from the 15th-16th century until the beginning of the Second World War in 1939. The Radziwiłł family reached the heights of its importance and power during the Polish Golden Age. However, due to the activities of Janusz Radziwiłł during The Deluge, the family lost much of its wealth and power. Regarding their wealth, the Radziwiłłs were not inferior to the royal family. In total, the Radziwiłł family has had in its possession 23 palaces, 426 large and small towns, 2032 estates, and 10,053 villages. In Belarus they possessed towns and boroughs like Haranyony, Davyd-Haradok, Kletsk, Dzyarzhynsk, Kopys, Dakhva, Mir, Nesvizh, Charnauchitsy, and Shchuchyn; in Ukraine – Olyka with dozens of villages in the Wolyn province (Polish: wojewodztwo); in Poland- Szydłowiec with villages in the Sandomierz province; and in Lithuania – Biržai, Dubingiai, Kėdainiai and others. The Goniądz-Meteliai line possessed in 15th – 16th centuries estates like Goniądz and Zaigrad and Podlaskie Lowlands in Poland. In 1612 the Slutsk Principality passed over to the Radziwiłłs. Their possessions were expanded also with Brest, Ashmyany, Krychau, Lida, Mazyr and other administrative territories (starostwos). The Radziwiłłs were granted a life-time privilege of being governors (starostas) of those territories. In 1586, the sons of Mikolaj "the Black" arranged for their fortunes to follow an ordynacja (fee tail), which was to have individual properties inherited by their male descendants; see "Radziwiłł Family Fee Tail". The ordynats of Nesvizh, Kletsk, and Olyka were thus formed. In the 19th century the Davyd-Haradok and Przygodzice ordynats were also established. Other possessions could be inherited by female heirs or alienated. Depending on the importance and size of owned lands, they were called either principalities (Nesvizh, Olyka, Biržai, Dubingiai, Kapyl, Slutsk, Staryi Chortoryisk, Stary Zbaraz, Goniądz and Medele), counties (Mir, Biała Podlaska, Dzyarzhynsk, Kopys, Zabłudów, Kėdainiai, Zolkow, Pomorzani, Belykamen, Kražiai), or estates (Nevel, Krasnoye, Sebezh, Musninkai, Sereya, Horodok, Sobolew, Slovatichi, Ruchai, Kolki, Vyazyn, Rafałówka, Zhmigrod, Beloozero, Yampol, Shumsk, Sverzhen, Drisvyaty, Naliboki). The family ties to the banking dynasties Altoviti and Strozzi played an important role to secure titles and wealth with the Roman Curia. After the extinction of the Olyka and older Kletsk lines, their fortunes were passed to those of the Nesvizh line. With the death of the heirless Dominik Hieronim in 1813, the Nesvizh line lost its right to the ordynat. Dominik Heronim's son, Aleksander Dominik, was born before the marriage of his parents and was thus denied the title and inheritance of his forefathers. He and his descendants had their princely title confirmed by the Austrian Empire. Thus, the ordynat of Nesvizh and Olyka fell into the hands of the younger Kletsk line. In this way, all three Radziwiłł ordynats ended up in the possession of one line, represented by the sons of Michal Hieronim, Ludwik Mikolaj of Kletsk and Antoni Henryk of Nesvizh and Olyka. The descendants of Antoni Henryk formed the beginning of the so-called Ordynant branch, out of the younger Kletsk line, in whose possession, other than the three older ordynats of Nesvizh, Kletsk, and Olyka, they also received the two additional titles of Przygodzice and Davyd-Haradok. The Radziwiłł family as no other magnate family of such level possessed numerous castles, their number reaching 23. The most fortified of them were in Nesvizh, Olyka, Biržai, Biała, Slutsk, Zolkow, Pomorzany and Zolochiv. The Radziwiłłs possessed palaces in most important cities of the Rzeczpospolita including those where the Sejm had its sessions (Warsaw, Hrodna), or the Tribunal held its meetings (Vilnius, Lublin, Navahrudak), in province centres where the Radziwiłłs had their estates (Minsk and Lviv), and in the cties where the Radziwiłłs were economically active (Gdańsk, Wrocław). In 19th and 20th centuries the Radziwiłłs owned property in European capitals like Vienna, Dresden, Berlin and Paris. Residences that emerged in the centres of the possessions of the Radziwiłłs reflected the importance of a town in the history of the family. One of this type of residences was Nesvizh in Belarus which by the 18th century had developed into a most important princely town. Biržai Castle – The construction of this earth bastion-type castle was ordered by Krzysztof Mikołaj "Perkūnas" Radziwiłł in 1586 and was completed in 1589. The castle became the main seat of the Biržai-Dubingiai line after it was moved from Dubingiai during the second half of the 17th century. During the Polish–Swedish wars in 1625, the castle was destroyed and surrendered. The family regained the castle in 1626 and rebuilt it from 1662 to 1669 in the Renaissance style. In the following war with Sweden in 1704, the castle was destroyed along with its fortifications and was abandoned. In the beginning of the 19th century, the castle was sold to the Tyszkiewicz family. Dubingiai Castle - A masonry castle acquired in 1508 by Jerzy and later reconstructed by the family in the Renaissance style, it was the main seat of the Biržai-Dubingiai line until the second half of the 17th century. 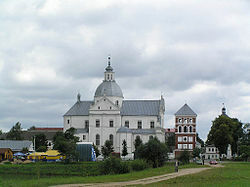 After the death of Jerzy, his son Mikolaj "the Red" inherited the property, causing the town nearby to become an important hub for the Reformation in Lithuania. During the Polish-Swedish wars, the castle was pillaged by armies loyal to the King of Poland and was confiscated from Bogusław. It returned to the family in the second half of the 17th century. Prior to 1620, a mausoleum was additionally built near the castle by Janusz I. 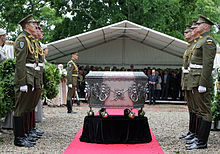 The remains of several family members, including Mikołaj "the Black", his wife Elżbieta Szydłowiecka, Mikołaj "the Red", and those of its creator, Janusz I, were recently found to be interred there. It was sold to Michał Tyszkiewicz in 1808. Lubcha Castle – A fortified residence that passed into the hands of Janusz II, it was expanded to have an additional three stone towers. In 1655, it was seized and devastated by Cossacks under the command of Ivan Zolotarenko during the Russo-Polish war. It was then passed to another set of owners. Mir Castle Complex – A Gothic style castle that passed into the hands of Mikołaj Krzysztof "the Orphan" in 1568, it was finished in the Renaissance style. The complex was destroyed by the Swedes in 1655 and 1706. After being rebuilt, Karol Stanisław "Panie Kochanku" took up residence. The castle suffered severe damage during the Napoleonic period and was uninhabited for nearly a century before being restored again at the end of the 19th century. In 1813, after the death of Dominik Hieronim, the castle was inherited by his daughter, Stefania, who married Ludwig zu Sayn-Wittgenstein-Berleburg. The castle was passed to her heirs. Nesvizh Castle – This property was owned by the Radziwiłł family from 1533, when it was awarded to Mikołaj "the Black" and his brother Jan after the extinction of the Kiszka family. The Lithuanian Archives were moved into the castle in 1551. In 1582, Mikołaj Krzysztof "the Orphan" began construction of a chateau based on the pre-existing structure of the medieval castle, which itself was turned into a renaissance-baroque house. Construction was completed by 1604 and several galleries were added half a century later. In 1706, during the Great Northern War, the castle was sacked and its fortifications were destroyed. Several decades later, the Radziwiłłs substantially renovated and enlarged the chateau. In 1770, the castle was seized by Russian forces and the family was expelled. Soon afterwards, the Lithuanian Archives was transferred to Saint Petersburg, while the majority of works of art gathered in the palace were distributed among various Russian nobles. Unoccupied, the palace fell into disrepair. The Radziwiłł family was able to regain possession and restored it. Between 1881 and 1886, Antoni Henryk and his wife, Marie de Castellane, renovated the castle's interiors. They also designed a landscape park in the English style. In 1939, the Radziwiłł family was expelled from the castle again by the invading Red Army. The Corpus Christi Church, built on the premises, contains the coffins of 72 family members, each interred in a simple coffin made of birch and marked with the Trąby Coat of Arms. Olyka Castle – A principal seat of the Nesvizh-Kletsk-Olyka line, its construction was initiated by Mikołaj "the Black" and inherited by his son, Stanisław "the Pious". It was expanded in the 18th century. Due to Dominik Hieronim's involvement in the Napoleonic army, the Russian government confiscated the castle from the family. They were able to regain possession in the late 19th century. Pac-Radziwiłł Palace – The palace was constructed for Dominik Mikołaj at the end of the 17th century. It was the property of the Radziwiłł family to the beginning of the 19th century, with breaks in ownership in 1744 to 1759 and 1762 to 1775. Around 1757 offices were built. During the Warsaw Uprising of 1794, it was partially destroyed. During the Prussian occupation from 1807 to 1809, the unoccupied building hosted a theatre, later becoming an army bunker and a lazaretto. It was bought by Ludwik Michał Pac in 1825. It is located on ul. Miodowa No. 15 and currently houses the Ministry of Health of the Republic of Poland. Radziwiłł Palace in Berlin – A city palace located on Wilhelmstrasse No. 77. The Palais Radziwiłł played hosts to regular visits from well-known personalities, artists and academics playing a major role in promoting Prussian-Polish relationships in Berlin. The Palais Radziwiłł was a meeting point for Polish politicians in the Prussian Parliament where they could exchange ideas and opinions on how to solve the long-standing question of what to do about Poland. In 1875 the palace was acquired by the Prussian state government in 1869 from Antoni Henryk. It was turned into the old Reich Chancellery. In 1933 the National Socialists moved into the Palace. The final destiny of the building was sealed by its last tenant, Adolf Hitler, who used the Palace as a private residence after the new Reich Chancellery was completed in Voßstrasse. When the Red Army marched into Berlin in 1945 the palace was so heavily damaged that it had to be demolished in 1949. Radziwiłł Palace in Vilnius – It is likely that Mikołaj "the Black"'s wooden Vilnius mansion was on the same site, but the current building was constructed by the order of Janusz from 1635 until 1653. During the various wars in the late 17th century, the palace was unoccupied. In 1807, Dominik Hieronim donated the property to the Philanthropist Society. A division of the Lithuanian Art Museum is located there today on Vilniaus Str. 22. In one hall one can see 165 portraits of the Radziwiłł family. These engravings were commissioned by Michał Kazimierz "Rybeńko" and carried out by artist H. Leybowisc. Radziwiłł Palace in Warsaw – Purchased from the Lubomirski family in 1674 by Michał Kazimierz Radziwiłł, the Nesvizh-Kletsk-Olyka line held the palace in its possession for 144 years until Dominik Hieronim died heirless in 1813. It was purchased in 1818 by the government of Congress Poland. It is the official seat of the President of the Republic of Poland. Corpus Christi Church, Nesvizh (1587-93) is the family sepulchre of the Radziwiłł family in Niasvizh. Since 1515 both Mikolajs and the Radziwiłł family were elevated to Reichsfürsten of the Holy Roman Empire. ^ a b c Jerzy Jan Lerski; Piotr Wróbel; Richard J. Kozicki (1996). Historical Dictionary of Poland, 966-1945. Greenwood Publishing. p. 415. ISBN 978-0-313-26007-0. ^ "Architectural, Residential and Cultural Complex of the Radziwiłł Family at Nesvizh". United Nations Educational, Scientific and Cultural Organization. Retrieved 2009-06-16. ^ "Radziwills' Archives and Niasvizh (Nieśwież) Library Collection". United Nations Educational, Scientific and Cultural Organization. Archived from the original on 2015-08-12. Retrieved 2009-06-16. ^ a b Stone, Daniel (2001). The Polish–Lithuanian state, 1386–1795. University of Washington Press. p. 52. ISBN 978-0-295-98093-5. ^ a b "THE RADVILAS". Lithuanian Art Museum. Retrieved 2010-01-06. ^ a b c d e f g Mackiewicz, Stanisław (1990). Dom Radziwiłłów. Warszawa: Czytelnik. ISBN 83-07-01971-0. ^ a b Rimša, Edmundas (1998). The Heraldry of Lithuania, Volume 1. Vilnius: Baltos Lankos. p. 35. ISBN 9986-861-34-9. ^ Krasinski, Valerian (1851). Sketch of the Religious History of the Slavonic Nations. Johnstone and Hunter. p. 153. ^ The American Quarterly Register, Volume 4. American Education Society. 1832. p. 111. ^ McClintock, John (1889). Cyclopaedia of Biblical, Theological, and Ecclesiastical Literature, Volume 8. Harper & Brothers. p. 339. ^ Banach, Witold (2017). Radziwiłłowie. Burzliwe losy słynnego rodu. Wydawnictwo Poznanskie. ISBN 978-83-7976-806-6. ^ Fryderyk Chopin Institute (2018). Chopin's Poland. Narodowy Instytut Fryderyka Chopina. ^ Borkowski, Bartosz (2018). Michał Radziwiłł. Polski magnat, który zapisał swoją posiadłość w prezencie… Hitlerowi. ciekawostkihistoryczne.pl. ^ Skupin, Weronika (2018). Antonin – pałac Radziwiłłów i własność Hitlera. polskazachwyca.pl. ^ "History of Birzai". Birzai District Municipality. Retrieved 2009-10-18. ^ "Archaeological Site in Dubingiai". The Castle Research Center „Lietuvos pilys“. Retrieved 2009-10-19. ^ "Radvilos Palace". Lithuanian Art Museum. Retrieved 2009-10-20. Lubamersky, Lynn. Women in family politics: the Radziwiłł family of Zdzięcioł in the history of the Polish–Lithuanian Commonwealth, 1733–1763. Bloomington: Indiana University, 1998. Wikimedia Commons has media related to Radziwiłł family.